Gurgaon-based e-commerce logistics firm SSN Logistics Pvt. Ltd, which operates under the brand Delhivery, has raised $85 million in its Series D round of funding led by Tiger Global with participation from existing investors Multiples Alternate Asset Management, Nexus Venture Partners and Times Internet Ltd, it said on Wednesday. 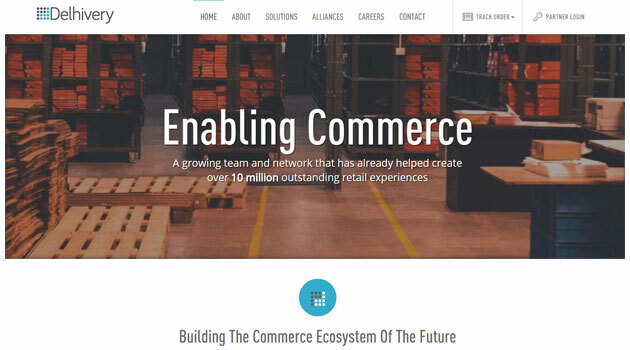 The firm said it will deploy this capital to build infrastructure and design services for e-commerce, hyper-local commerce, C2C commerce and other verticals with specialised requirements such as reverse logistics, furniture and grocery. "Delhivery has built its market-leading position by innovating extensively in its growing portfolio of commerce technologies while expanding its logistics infrastructure, fulfilment and transportation services," said Lee Fixel, partner,Tiger Global. Delhivery has over 10,000 employees in more than 200 cities along with nearly 1 million square feet of warehousing space in 11 fulfilment centres. By the end of the calendar year the company plans to tap into India's rural market as well with a four-fold increase in its current reach along with investment in over 2.5 million square feet of fulfilment centres. The company is also expected to invest in expanding the senior management team and has brought on Sandeep Barasia and Suraju Dutta as managing directors. Dutta joins Delhivery with over 20 years of strategic leadership experience from global supply chain giant Federal Express, where he oversaw operations in over 66 countries. The firm aims to leverage his expertise to develop domestic and international footprint through expansion of its infrastructure and service capabilities. Barasia will lead the company's product and service portfolio and will focus on innovation, business strategy and organisation development. Barasia, an alumnus of the London Business School, was previously senior partner at Bain & Company in the consumer products group and brings over 17 years of experience across industries and geographies. Delhivery, founded in 2011 by Sahil Barua, Mohit Tandon, Suraj Saharan, Bhavesh Manglani and Kapil Bharati, claims to handle over 3 million monthly transactions for 70,000+ merchants, 1,500 e-commerce companies and 200 offline retailers across its network. The latest transaction takes the total funding raised by the firm to a little over $126 million. Last September, Delhivery raised $35 million in its Series C round led by private equity firm Multiples Alternate Asset Management with participation from existing investors Nexus Venture Partners and Times Internet. In September 2013, it raised around $5 million from Nexus Venture Partners after raising its first funding round from Times Internet a year before.